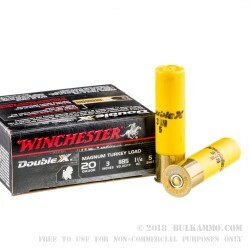 Winchester’s Double X Turkey Loads feature copper-plated shot with Grex buffering to ensure dense, long-range patterns, that still deliver terminal performance and knockdown power at longer distance. 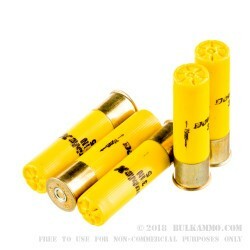 These 20-gauge turkey hunting shells are loaded into a 3” shotgun shell, have 1 ¼ oz. 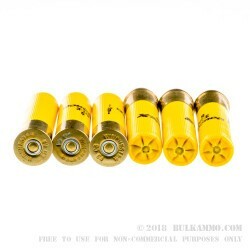 of #5 lead shot and are capable of slinging lead at 1185 FPS, offering terminal performance at long range. These high-velocity shotshells have won four victories at the Wild Turkey Federation’s National Steel Target Championship. 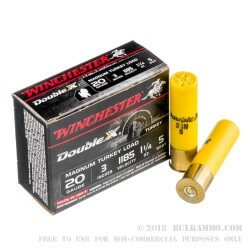 Each box of Winchester Double-X Turkey Load comes with 10 rounds. Winchester, for more than 150 years, has been a legendary producer of arms and ammunition. From the famous Model 73 that won the west to their innovative lines of hunting ammunition, Winchester continues to produce firearms and ammunition that live up to their reputation for quality and reliability.